Veldman has brown water in the blood, growing up ticular market, portability is as important as capability, so a? oat on the inland waterways of the Netherlands and be- not only was the software speci? cally adapted to the needs yond and has a broad knowledge of the European inland of brown water, but also the bridge infrastructure had to be waterway network, the locks and other structures found on fully portable and representative of the inland vessel bridge. 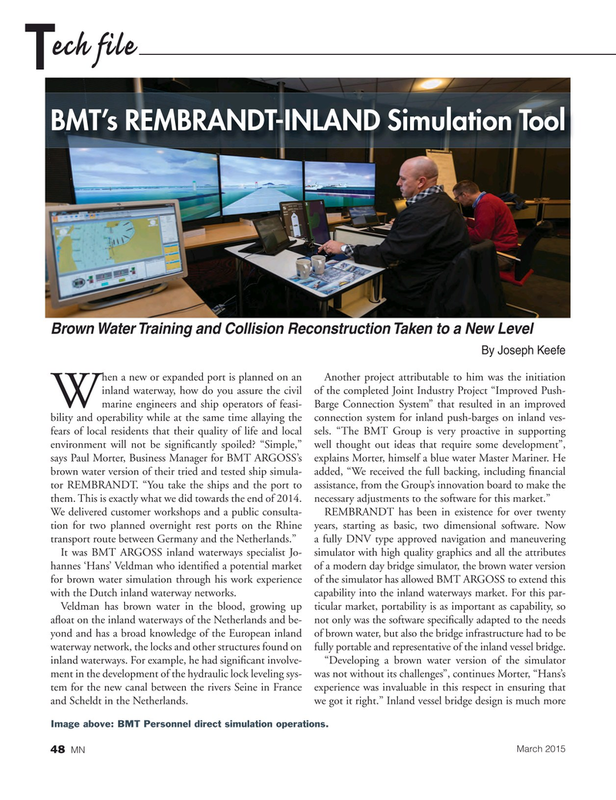 Image above: BMT Personnel direct simulation operations.